Cream sugar and butter until fluffy. Add egg and mix well. In separate bowl sift flour and baking soda together. Add dry ingredients to creamed mixture, alternating with milk. Add pecans. Put a tbsp of muffin batter in bottom of each muffin tin. Sprinkle brown sugar mixture on top to cover the batter. 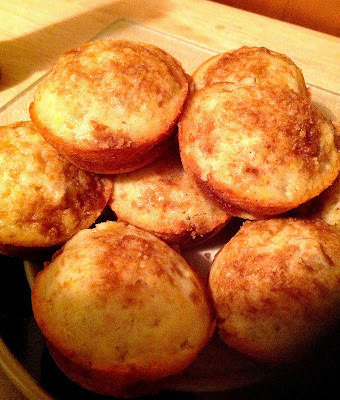 Fill muffin tins with the rest of the batter up to the 3/4 level mark. Sprinkle any remaining brown sugar mixture on top. Bake 20 – 25 min in 350 oven.